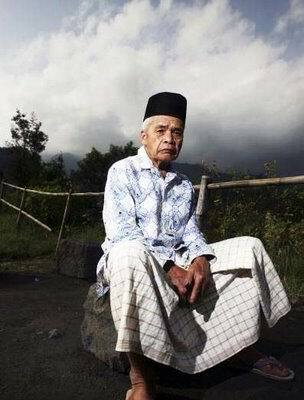 Raden Ngabehi Surakso Hargo or better known as Mbah Marijan (real name: Mas Penewu Surakso Hargo; born in the hamlet of Kinahrejo, Village Umbulharjo, Cangkringan, Sleman, 1927; died in Sleman, Yogyakarta, October 26, 2010 age 83 years) is an interpreter Key Mount Merapi. 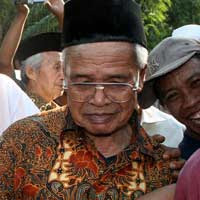 Work as a caretaker was obtained from Sri Sultan Hamengkubuwana IX. Each Mount Merapi would erupt, local residents are always waiting for the command from him to flee. He took office as a caretaker deputy in 1970. Position as a caretaker and his clothing since 1982. 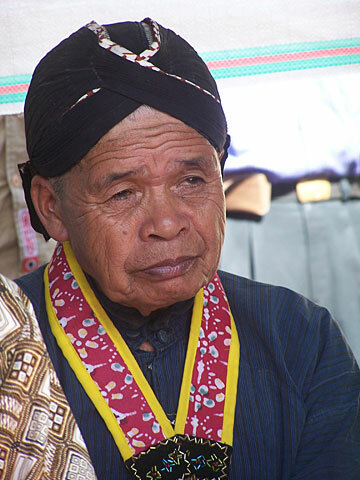 Since the incidence of Mount Merapi would erupt in 2006, Mbah Maridjan increasingly popular.